Through 32nd Chelsea International Fine Art Competition 2017, artists can showcase their talent to the world by gaining international exposure through their paintings. The Chelsea art competition is an amazing opportunity to hone your skills and get an international exposure which will play a large role in your artistic career. 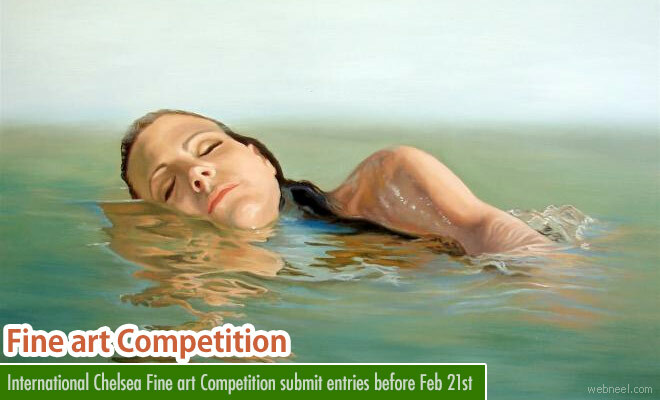 The competition is open to visual artists from around the world at any stage of their careers. Artists are invited to submit in any of the following mediums: painting, sculpture, photography, drawing, mixed media, and print. Art submitted to the competition will be reviewed by a panel of expert jurors, each representing a different field in the art world, ensuring a fair and balanced judgment process. It's a paid entry, so artists please register yourselves to get some early bird discounts. Participants send your entries before Feb 21st 2017 and results will be announced on March 20th 2017. The 2017 competition exhibition is scheduled to take place at the street-level space of Agora Gallery at 530 West 25th Street, Chelsea, NYC, from August 19 to August 30, 2017. 30 artists will be selected to exhibit in the collective exhibition, which will take place at Agora Gallery. 5 artists will be awarded a cash prize of $1,000 each. 5 artists will be awarded one year of exposure on ARTmine.com, which includes an artist statement composed in ARTmine’s talented art writers. 3 artists will be awarded a one-page review with 3 color images in ARTisSpectrum Magazine. 10 artists will receive an Honorable Mention and a complimentary entry to the 33rd Chelsea International Fine Art Competition (Feb. 2018).